If you’re already a member of Young Living and Frank and Valor… be sure to reach out to your Enroller for the password to our team exclusive website! There are more classes, downloads, short videos and other resources available there for you to stay excited to use your Young Living membership in fun, meaningful and easy ways! 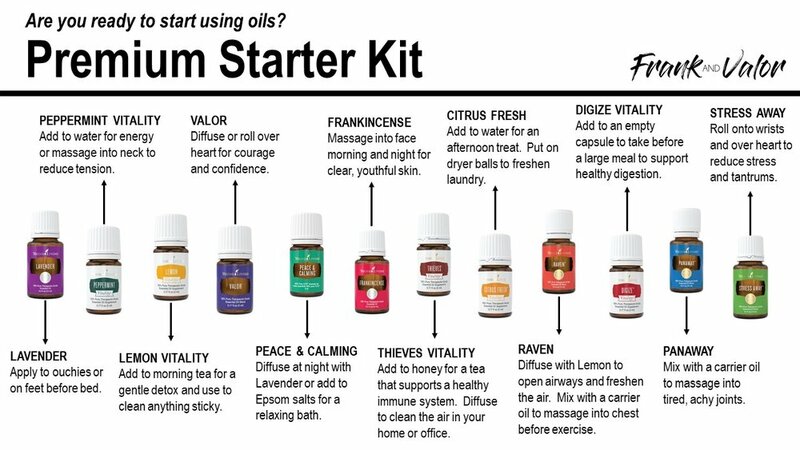 If you aren’t a member of Young Living or our team yet… ask the person that sent you to this Wellness 101 class for their link to order the Starter Kit that is best for you! If no one sent you here or if you want to order from our founder Ashley Sharp… please click HERE!